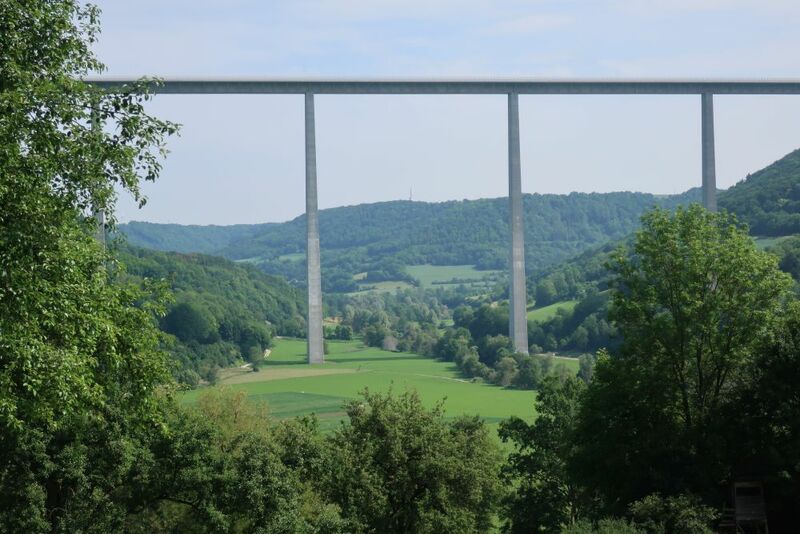 Finished in 1979, this is the Kochertalbrücke (Kocher Valley Bridge), and at 178 m (or 574 feet) it was, until 2004, the highest bridge in Europe. 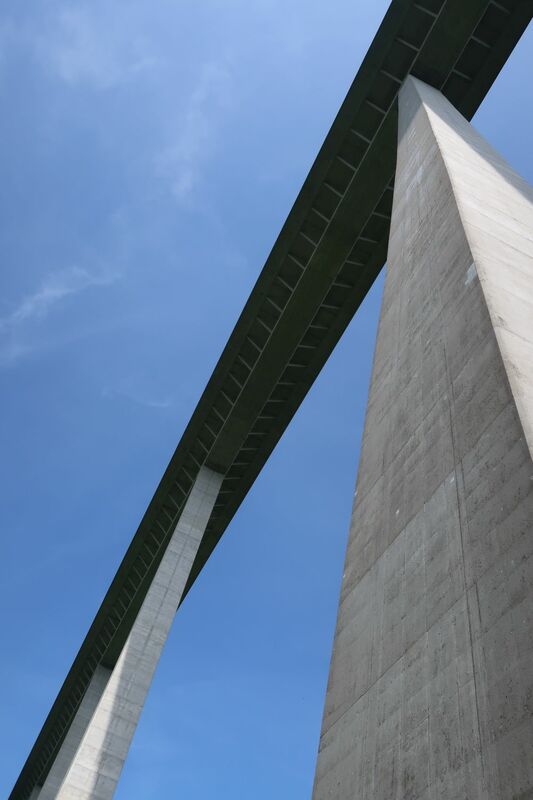 Remember that the Golden Gate Bridge, in comparison, is only 220 feet, so this bridge is just over double the height. If you like photographs of bridges, you’ll find a number of them that I’ve tried to capture in my blog. 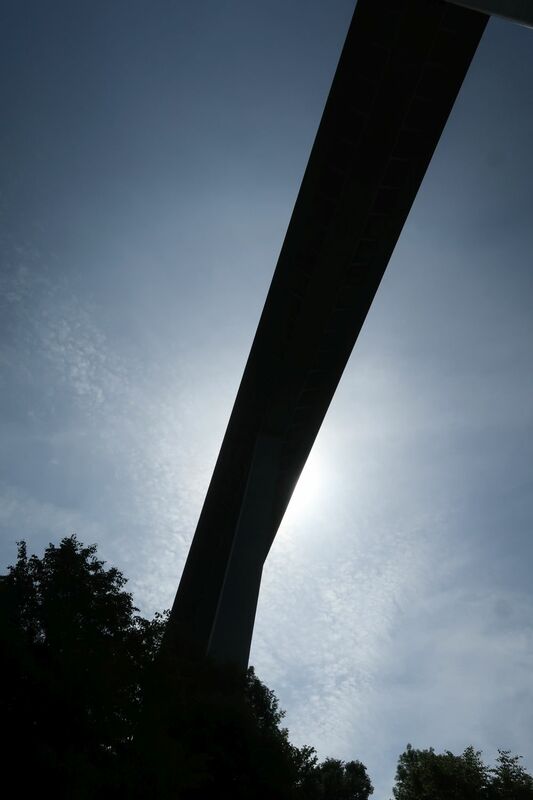 What I find totally amazing about this bridge is the complete silence underneath it. The traffic deck is so high in the air, none of the sounds of the passing vehicles can be heard from the ground.